One of the last journeys - R.I.P. 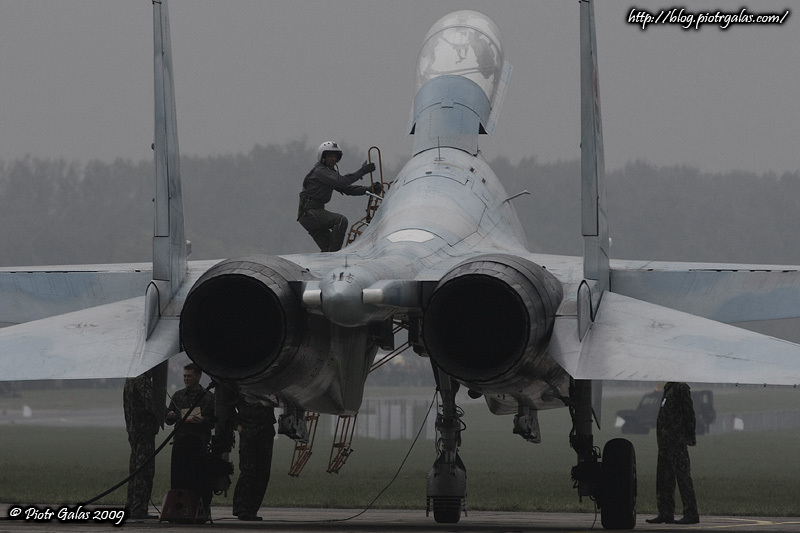 Picture presents one of the pilots (Aleksander Marfickij or Aleksandr ?urawlewicz) from belarusian Su-27 UBM crew getting inside his machine. Probably this was the last safe getting in and getting out of their machine. They started prepare to fly but in last moment they were stoped because of weather. It was saturdays afternoon...R.I.P. Kolejny wypadek na air show. Smutne.